The harsh working conditions imposed on mobile machines do not leave room for any hiccups that can compromise the safety and efficiency of the operation. Manufacturers of mobile machines for the construction, agriculture, mining, and material handling industries need suppliers who can provide more than just quality components. They want experienced professionals who listen to their requirements and partner with them to troubleshoot problems and find solutions. WIKA does that. 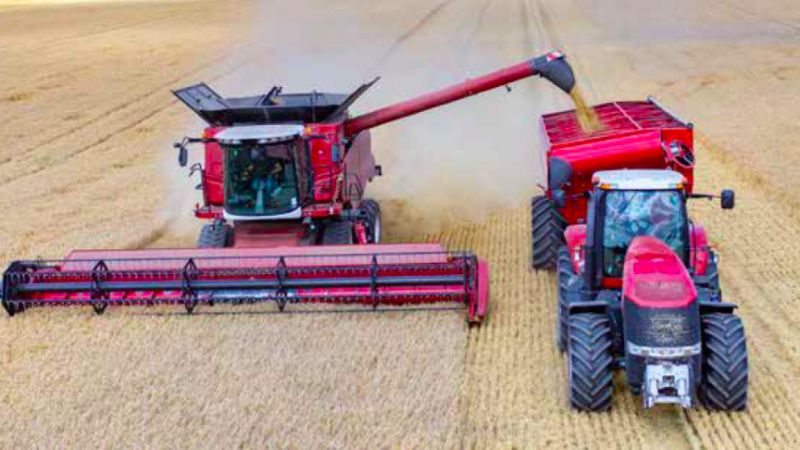 A major manufacturer of heavy machinery for the agriculture sector had installed the latest in hydraulic pump technology to improve efficiency in its tractors. But soon after, the tractors started having issues with failing pressure transducers. To avoid downtime, technicians were routinely replacing any pressure transducer suspected of malfunctioning. When returned to the factory, half of the “failed” transducers worked perfectly while extreme pressure spikes had damaged the other half. Since the damage was not a flaw in the transducers themselves, the supplier did not see the need to investigate further. The tractor manufacturer tried a series of internal tests but could not find the cause of the problem. A local WIKA representative determined that the test equipment was not sufficient to track what was happening in the hydraulic system, so he obtained the latest in test measurement equipment from WIKA to help identify the issue. Working together, the representative and the client identified the root cause of malfunction: The new hydraulic pumps were producing very short duration, but very high amplitude, pressure ripples, which damaged the pressure transducers. To solve the issue, the representative suggested replacing the existing pressure transducers with WIKA’s MH-3, a thin film pressure transducer with the WIKA Cavitation Dampening System. The MH-3 is rugged, extremely resistant to shock and vibration, and provides excellent long-term stability. Extensive laboratory and field testing showed that the MH-3 did not fail with the hydraulic pump’s fast moving pressure ripples. At the client’s request, WIKA designed on-board diagnostics for the MH-3. 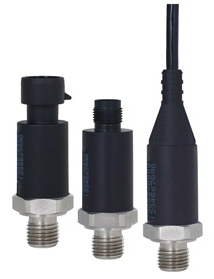 The completely new electronics package generates an alert signal when a pressure transducer fails. This system allows the manufacturer’s field technicians to quickly troubleshoot the issue: If the alert signal is present, the cause of the failure is the pressure transducer. If the alert signal is not present, the technician knows to look elsewhere on the machinery for the cause. WIKA does not simply sell components. We put special emphasis on analyzing the needs of the market, providing answers, and standing behind our products with excellent service and support. WIKA partners with clients to find the optimum solution for any application and any problem. Our experts have years of research, laboratory, and field experience with mobile machines, and use the latest technology to constantly improve the design of existing products and to develop new ones. Innovation and research are the foundation of the company’s strong designs and manufacturing processes. WIKA invests heavily in technology and capabilities to stay ahead of the curve and to provide the best available components for mobile machines. Call WIKA’s experts today to talk about the needs of your process and how to find solutions that fit your application.